The win for AT&T could encourage corporate America’s takeover ambitions, and is a setback for the Justice Department. AT&T took a step closer to becoming a telecom-media giant after a judge ruled Tuesday that its $85.4 billion takeover of Time Warner can proceed. The decision was no less momentous for President Donald Trump’s Justice Department which, in suing to block the deal, was advocating a new approach to antitrust regulation. 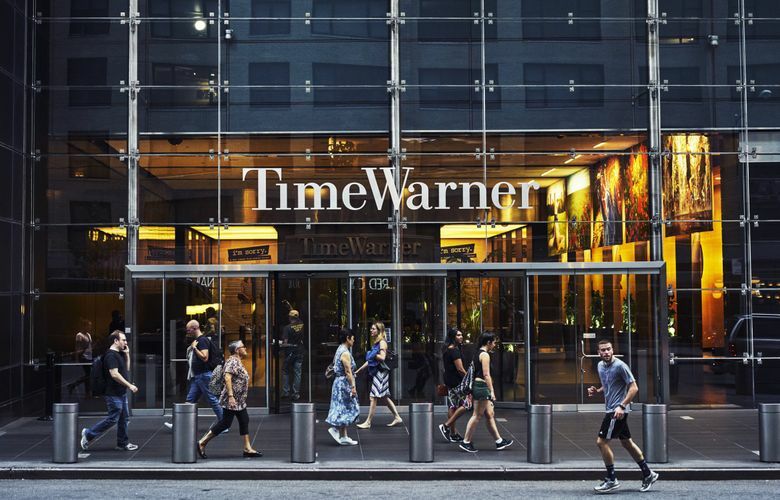 AT&T, which most Americans know as a mobile-phone service provider, is trying to buy Time Warner, owner of big media brands including HBO, Warner Bros. and CNN. The takeover was announced in October 2016, and is the latest effort by a big telecom or cable company to acquire media assets. The cable company Comcast owns NBCUniversal, and Verizon owns websites including Yahoo and HuffPost. The Justice Department sued to block the deal last year, arguing that it would limit competition and raise costs. The companies countered that the deal would allow Time Warner and AT&T to compete more effectively against Silicon Valley companies like Google and Netflix. What was the judge’s decision? The takeover can proceed without any conditions, Richard J. Leon, a U.S. District Court judge, ruled. AT&T and Time Warner can now push on with the deal, which they aim to close later this month. The decision is expected to be taken as a green light for more takeovers. For example, Comcast is expected to make a bid for most of 21st Century Fox’s television assets — setting up a bidding war against the Walt Disney Co.
It’s possible that the Justice Department will appeal the ruling, though, so things may not end here. The Justice Department said it would consider its options. Shares of other companies involved in mergers rose after the ruling. Sprint, which is seeking to buy rival mobile-service provider T-Mobile rose about 1 percent in after-hours trading. T-Mobile gained 1.5 percent. CVS and Aetna also rose, while Express Scripts, which is being acquired by insurer Cigna, added about 5 percent. Cigna also rose. Why was this case so closely watched? A key argument against the government’s case was that the deal is a vertical merger, which means that the two companies do not produce competing products: One makes media content, and the other distributes it. Some big takeovers lately have had similar profiles — the purchase of the insurer Aetna by the drugstore chain CVS, and Amazon’s purchase of Whole Foods — and they typically make it past regulators. In the past, regulators have instead focused on keeping one company, or a small group of companies, from owning too much of any one specific industry. It comes up when companies buy their competitors — what’s known as horizontal integration. For example, in 2016, a federal judge blocked the merger of Staples and Office Depot after the Federal Trade Commission argued that the combination would leave Americans with only one dominant retailer focused on pens, paper clips and Post-it notes. What makes the AT&T decision noteworthy is that the deal was challenged even though it doesn’t share all the characteristics of horizontal integration. How else could Judge Leon have ruled? — Leon could have blocked the deal. Doing so might have encouraged the Justice Department to act more aggressively when looking at deals in the future, and also could have prompted a rethink by companies with similar deals in the works. — He could have approved it but attached conditions. The aim of the conditions could broadly have been to keep AT&T from using its control of providers like HBO or CNN as a weapon to increase costs for its rivals. The Justice Department argued that AT&T could charge rivals a high price for, say, HBO to make AT&T’s own product more competitive. One way to address this could have been to appoint a third party to oversee disagreements between AT&T and the cable companies that want to license Time Warner content. The government didn’t like that approach. Another option was to demand that AT&T and Time Warner sell off some plum assets. AT&T and Time Warner didn’t like this approach, so was expected to appeal any such decision. Didn’t this get political at one point? Yup. Time Warner owns CNN, which Trump has publicly and repeatedly attacked as fake news. The government had said that Trump did not communicate with antitrust officials on the deal and that their decision to oppose the merger had not been ordered by the White House. During the trial, Leon rejected many of AT&T’s efforts to introduce evidence about political interference into the case.